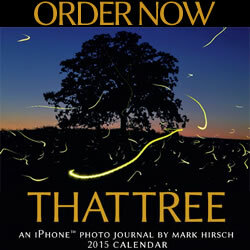 The winter of 2011–12 provided an exception to this general rule. Snowy owls, the only owls in the world that are almost entirely white and are thus perfectly hidden in their tundra environment, staged a rare invasion into the northern and central states, where they stood out like white flags against a dead-grass background. The reasons for this incursion are still uncertain, but a shortage of their primary arctic food base (mouse-like rodents called lemmings) seems a possible explanation. Persons seeing snowy owls or finding dead ones should contact Joel Jorgensen at the Nebraska Game and Parks Commission at (402) 471-0641 (include the date and exact sighting location) to document this rare event. The rarity of this invasion is reflected in the number of snowy owls handled at the Nebraska’s Raptor Recovery center, where sick and otherwise disabled birds of prey are treated. 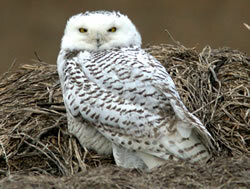 During the entire 35-year period from 1976 until 2011, a total of only 21 snowy owls had been treated by the center. However, between December 2011 and mid-January 2012, 10 more snowy owls were brought in. Nine of these were young, highly emaciated birds that were extremely weak and could not be saved. These birds probably lacked the experience to hunt successfully during times of low food supplies and had been forced southward in search of prey. Given the publicity and interest produced by this nationwide snowy owl invasion, a survey of the other owls of Nebraska might be of interest. Besides the snowy owl, two other Nebraska owls are migratory. The northern saw-whet owl is a small, inconspicuous owl that also mainly breeds in coniferous forests to the north of Nebraska. It is an uncommon permanent resident in the Black Hills of South Dakota and has been suspected of nesting in the Pine Ridge region of Nebraska’s panhandle. Otherwise, it is a regular fall and spring migrant in the state, perhaps locally overwintering. Although the name “saw-whet” refers to a supposed resemblance of its somewhat raspy note to that of a saw being whetted, it vocalizations more often consist of simple repeated whistles. Like our other mostly highly nocturnal owls, it has a very large, disk-shaped group of feathers surrounding each ear, providing two parabola-like sound receptors and making it a highly effective auditory hunter under conditions of nearly total darkness. Our other migratory owl is the burrowing owl, a familiar sight in western areas where prairie dogs still survive. Unlike our other owls, it is active during the daytime, and it can often be seen standing sentinel-like near its nesting cavity, a behavior that has resulted in one of its appealing colloquial names, “howdy owl.” It often nests in abandoned cavities among prairie dog colonies, although almost any appropriately sized cavity seems to work just as well. When nesting among prairie dogs, it seemingly maintains a tolerance for and an uncertain peace with them, being too small to represent much of a threat. Although burrowing owls often prey on small rodents such as mice, much of their summer foods consists of insects, especially large beetles. By late September, as the insect supply dwindles, the owls begin to depart for warmer wintering areas, probably migrating as far south as western Texas. Slightly smaller than the burrowing owl, our eastern screech owl is perhaps the most common owl in the state, at least in wooded habitats such as river valleys, suburban parks or even well-treed residential neighborhoods. Its call, a soft, tremulous whinny, would probably not be recognized by most people as coming from an owl, and it is small enough to nest in a woodpecker’s cavity. In its first 35 years of operation, Nebraska’s Raptor Recovery center handled 1,960 eastern screech owls, second only in number among owls to the great horned owl’s 2,158. About 10 percent of the eastern screech owls in Nebraska are of the gray plumage type; the remainder are of a rich rufous color. The latter plumage variant is progressively more common in the eastern states, where it may be less conspicuous than gray-plumaged birds among the brighter colors of the deciduous forests there. In the shady coniferous forests of the far west only gray-plumaged birds are present. Nebraska’s medium-sized owls are the barn owl, barred owl, short-eared owl and long-eared owl. Two of these, the barn owl and barred owl, are highly nocturnal. Relative nocturnality is somehow correlated in owls with dark iris coloration. Owl iris color probably has nothing to do with visual sensitivity in owls, but yellow eyes are highly conspicuous during daylight and may serve as effective social signals, whereas brown eyes are not. Owls in general, and certainly all nocturnal owls, have eyes with extremely high sensitivity in low light (rod-based or monochrome vision) but little or no capability for detecting different hues (cone-based color vision). Cone-based vision allows both for fine color discrimination and a high-resolution imaging, but requires a fairly high light level to be activated. Of the four species just mentioned, the short-eared owl and barn are open-country owls; the long-eared owl and barred owl are forest-dwelling owls. The barn owl is the only member of a group of similar owls occurring around the world, especially in tropical regions, and are noted for their extraordinarily keen hearing abilities. Barn owls are remarkable in being able to locate and unerringly catch small rodents in total darkness. Like saw-whet owls, they have large facial disks of feathers around their ears, and, like most mammals, their ears have external flaps that can help to capture and funnel extremely weak sounds into the inner ears. Barn owls are also unique in producing a human-like screaming call that, when heard on dark nights, might help one understand the widespread if unjustified fear of owls. In contrast, the long-eared, short-eared and barred owls have typical owl-like hooting calls that differ in cadence characteristics, and allow for distinction on that basis alone. The barred owl is easiest to recognize; its call cadence can easily be remembered as ”Who cooks for you? Who cooks for you-all?” The short-eared owl utters a series of raspy barking notes, and the long-eared produces occasional long, soft and usually single hoots. All four of these middle-sized owls are effective mouse- and rat-killers, and any of them would be a very good neighbor for anyone with rodent pest problems. The great horned owl and snowy owls are the largest of our regularly occurring owls, with great horned owls often weighing more than 3 pounds and snowys at least 4 pounds. In both species, and in predatory birds generally, females average considerably heavier than males, perhaps because females undergo the additional stress of egg laying, and their greater body mass improves their chances of survival. Great horned owls are the most opportunistic predators of all Nebraska’s owls. They will not hesitate to take on prey weighing as much or even more than themselves, such as striped skunks, which may weigh up to about 10 pounds. Great horned owls have even been known to attack domestic cats and very small dogs. Although snowy owls are the heaviest of all North American owls, their usual lemming prey weigh only about 2 to 5 ounces, or roughly 5 percent of the owl’s body weight. Thus, many lemmings per day would be needed to avoid starvation, so their shortage might have serious repercussions on snowy owl populations. Migrating and wintering owls prey on any mammals and birds that might be locally available, up to the size of hares and pheasants. Persons finding disabled snowy owls, or any raptors needing help, are urged to contact the Raptor Recovery team or any local representative of Nebraska Game and Parks. The phone number of Raptor Recovery headquarters is (402) 994-2009. At least 25 towns have local volunteers who can receive and transfer injured birds to the center, as do Game and Parks personnel. It should be remembered that all raptors have powerful talons and razor-sharp beaks, so they should never be handled by people lacking experience. As one of our least-known groups of native birds, the owls are among the most fascinating. Their hearing abilities are perhaps the finest of any birds in the world, and their nocturnal vision is also unsurpassed. Even their daylight vision is almost unbelievable; the great gray owl is able to detect a mouse from more than a hundred yards away. Any owl is a puzzle enclosing an enigma, both of which are enveloped in the softest and most beautiful plumage imaginable. What bird could be more intriguing than an owl? Johnsgard, Paul A. “North American Owls: Biology and Natural History.” Washington, DC: Smithsonian Institution Press, 1998. The box at the bottom of page two says owls can see a mouse at a hundred miles. Unless they can see thru the curvature of the Earth, that's a typo. A hundred yards maybe? The problem is, some woo-wooo types will pick that up and spread it, like the old myth that we only use ten percent of our brains (how would that evolve? ), actually invented as an advertising slogan in the 1920s. Yes, you're right that it's a hundred yards. The number is correct in the article in the paper and online - it was just that promo blurb that was in error. Thanks for paying attention! Did you actually read it, Anonymous? Or just view it through a mobile device? Or don't you like owls? Or are you a former disgruntled student dissatisfied with a grade you got from Dr. Johnsgard? Everyone is titled to their opinion but in an open form some useful comment seems more appropriate.